Italy’s biggest lender by value’s nine-month net profit is its best since 2008, despite a domestic bonds selloff. Solvency is also higher than required by Intesa’s Frankfurt regulator even after a stress test. That makes it the only Italian commercial bank with dividend headroom. Intesa Sanpaolo, Italy’s biggest bank by market capitalisation, on Nov. 6 reported third-quarter net profit of 833 million euros, better than a Reuters consensus of 785 million euros. The Italian lender said its common equity Tier 1 capital ratio (CET1), a measure of capital strength for banks, stood at 13.7 percent on a fully loaded basis, up from 13.6 percent at the end of June despite a rise in Italian sovereign bond yields. The calculation takes into account factors such as a public contribution from the acquisition of two Veneto banks. 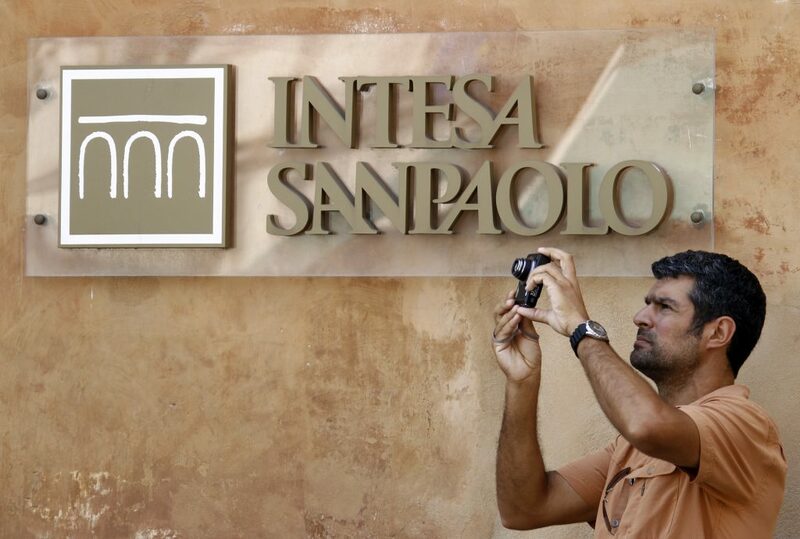 Results from a European Banking Authority health check of 48 large European Union banks on Nov. 2 showed that Intesa Sanpaolo’s CET1 would fall to 9.66 percent in 2020 under an adverse scenario that includes a prolonged economic recession and incorporates accounting changes. The level came above a minimum European Central Bank requirement of 9.33 percent set for Intesa Sanpaolo. Intesa shares were up 1.9 percent to 2 euros at 1230 GMT, outperforming a negative FTSE MIB index in Milan.